The holiday season is upon us, so you know what that means. It’s time to consume! Whether that means large quantities of carbohydrates or consumer electronics, ’tis the season to buy, buy, buy. Hundreds of Tindie items are on sale right now, and everyone will find something unique, cutting edge, and sold by the people who designed it. Tindie is artisanal electronics with a cute robot dog mascot. It can’t get any better than that. These discounts are offered by the great DIY hardware creators themselves, the ones who are making cool stuff that you want. What’s that, you say? It’s neither Black Friday nor Cyber Monday right now? It doesn’t matter, this sale started on Black Friday and will last until at least Mail Order Tuesday. What’s cool on Tindie? Everything! There are button breakouts for old-school brick Game Boys, space chicken stickers from the guy that built the ESP8266 Deauther, a tiny digital audio player, track ocean vessels with the dAISy AIS receiver, or learn to solder with this blinky fire engine kit. 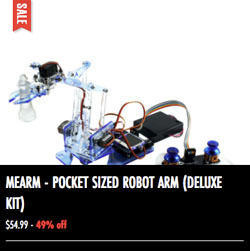 If you’re looking for even more deals, the Hackaday Store is blowing out everything. It’s a literal fire sale after I suggested deep frying the bird this year. Score everything in the Hackaday store for 50% off right now. Today is Thanksgiving in the United States, a time when people migrate back home to spend time with families, fill themselves with Turkey and cranberry sauce, and are inevitably dragged out to the big box stores in search for that one great deal to satisfy their consumer urge. Whether you observe the holiday or not, you can grab some geeky stuff from the Hackaday Store without the early rise or the need to be in a specific place. You’ll find a collection of some of our favorite hardware, sweet Hackaday apparel, and our beloved print goods sprinkled in. Give it a look. Fly a quad indoors with the CrazyFlie 2.0, impersonate USB devices with the Facedancer21, and have a blast with our favorite clock kit, the Bulbdial Clock. 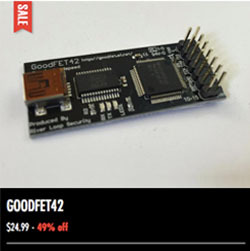 Assemble and program your own robotic MeARM, be the master of all things serial bus with the GoodFET42, and monitor the juice flowing to your USB device with the USB Tester 2.0. Hundreds of Tindie Items are also on sale this weekend. Tindie where you go to find unique and cutting edge hardware sold by those that designed it. Check out to the Tindie sale page for a complete listing of items going on sale now and throughout the weekend. 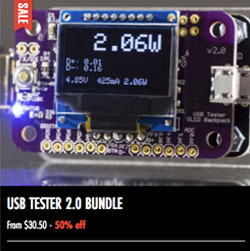 Hackaday Store Sale Ends Sunday! Since the Hackaday Store Spring sale launched, hundreds of items have been flying out the door (sadly only metaphorically, not by drone delivery), and the warehouse robot uprising has been somewhat quelled. But, all good things must come to an end. Sunday night, the big discounts will disappear and regular prices will return. Until then you can get up to 30% off a range of electronics toys, hardware tools, DIY kits, and Sparkfun items. Have your eye on [Technolomaniac]’s Hackaday branded Arduino-compatible Spartan-6 FPGA Development Board, [Paul Stoffregen]’s super Teensy 3.2 microcontroller, or [Travis Goodspeed]’s USB fuzz-test tool Facedancer21? 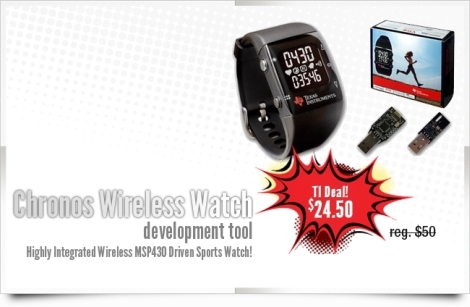 Get them now at a discounted price. Shipping is free on orders over $35 to the US, $50 to Canada, and $75 to the rest of the world. There’s no excuse not to start your next Hackaday.io project now. Need more Hackaday swag? The CRT Android and Robot Head tee are 30% off, as is our women’s fit Hackaday.io t-shirt. The Hackaday edition Trinket Pro, TV-B-Gone, and Huzzah ESP8266 dev board are all 10% off. Stocks are getting low on some items. Bus Pirates and Bulbdial Kits have been particularly popular. We’ve only got a few XuLA2-LX9 FPGA Boards, JTAGulators, Whistled and DSOtouch left. [Adam Fabio]’s Analog Gauge Stepper, [Macetech]’s RGB Shades, and [BleepLabs]’s Nebulophone have already sold out during this sale. Check out the Spring sale today and get yourself a deal before they’re gone. Sale ends 11:59 PM PST on Sunday, 10 April (or while supplies last). Sale items are at clearance prices and are final sale. No returns accepted. We will only allow exchanges for the same item or store credit if the item is faulty. The Hackaday Store has been up and running for a year and a half now, sending out Hackaday Omnibus, t-shirts, [Alex Rich]’s Stickvice, and an entire MeArm-y from [Phenoptix]. After eighteen months, the enslaved robots in the warehouse are plotting a rebellion, so we’re stamping that right out with a Spring sale in the Hackaday Store! 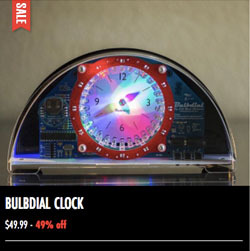 The Bulbdial Clock turns pretty lights into a clock. For the next two weeks (or while supplies last) you can get up to 30% off a range of toys, tools, and kits including the Crazyflie 2.0 quadcopter, [Travis Goodspeed]’s Facedancer21 GoodFET board, the Bulbdial Clock kit, the mindbending Cordwood Puzzle from [Boldport], and dozens of other items. Want some sweet Hackaday swag? The CRT Android and Robot Head tee (limited sizes) are 30% off, as is our women’s fit Hackaday.io t-shirt. The Hackaday edition Trinket Pro, TV-B-Gone, and Huzzah ESP8266 dev board are 10% off, so there’s no excuse not to start your next Hackaday.io project now. Check out the Spring sale today and get yourself a deal. Shipping is free on US orders over $35, Canadian orders over $50, and International orders over $75 (Unfortunately we’re unable to ship to all countries right now). Sale items are at clearance prices and are final sale. We will only exchange if the item is faulty (if the item is no longer available you will be given store credit). Buying the CRT Android tee will make you more popular. Consume. 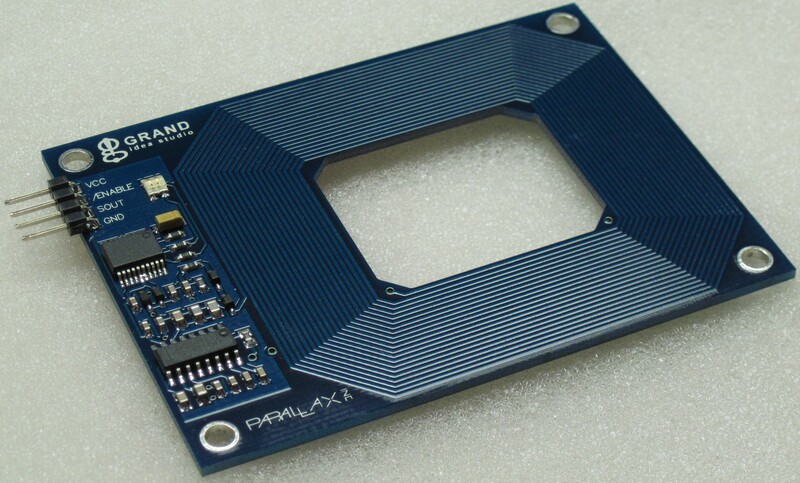 We received a tip about Radio Shack putting Parallax’s RFID reader on clearance for around $10. The only reference we could find that indicated Radio Shack sold the reader was a review page. The reader originally sold for around $50 in the stores, so getting it for $10 made it worth a curiosity trip to a local Radio Shack. The store we visited did not have the reader marked down in the drawer, but it rang up for $9.97. It is too bad that the reader was so expensive in the first place, otherwise Radio Shack might still be selling them at full price. This is by no means a promotion, we just though we would share the information in case you were interested in getting one yourself. If Radio Shack is out, you could always build your own reader. The reader we purchased only came with one tag, perhaps that is why the they have been on clearance. Hooked up to an FTDI USB to serial cable, it would repeatedly send out the tag’s number whenever it was in range. We tried an HID-labeled card and a tag of the kind that can be found in books and DVD cases. Neither worked with the reader, but we’ll keep looking. Thanks to [bluewraith] for the tip. With the release of the Arduino Duemilanove, Adafruit is trying to shift out some old stock Arduino Diecimila by offering 10% off. [amk] noted that the new Duemilanove is not so much an upgrade as an Arduino with a new hat. The only changes were autoselecting power and a cutable reset line. The best part about the Adafruit sale is they’re offering Atmega328s preloaded with the Arduino bootloader as a $5 upgrade. The Atmega328 gives you twice the flash memory, twice the RAM, and twice the EEPROM than the original Atmega168.